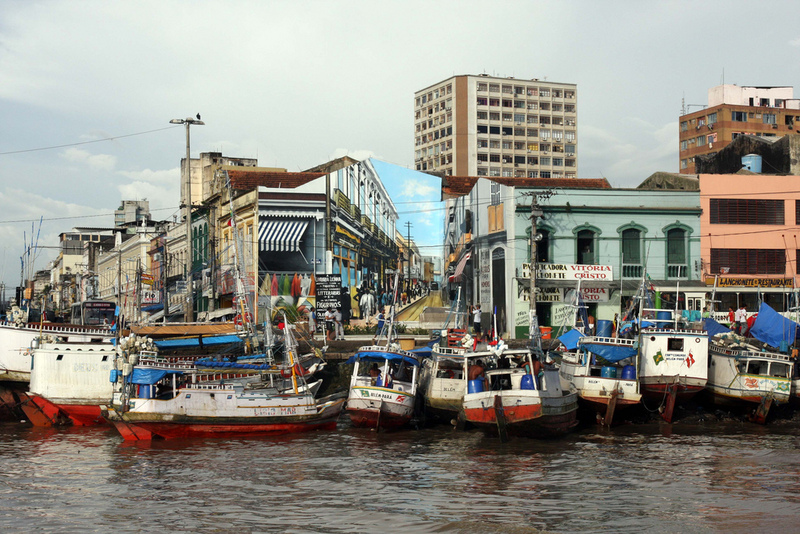 We begin our Brazil tour with a couple days in the lively and colorful port town of Belem before we board our short ferry to the little-known Marajó Island, which is the largest fluvial island in the world, and the second largest island in South America. 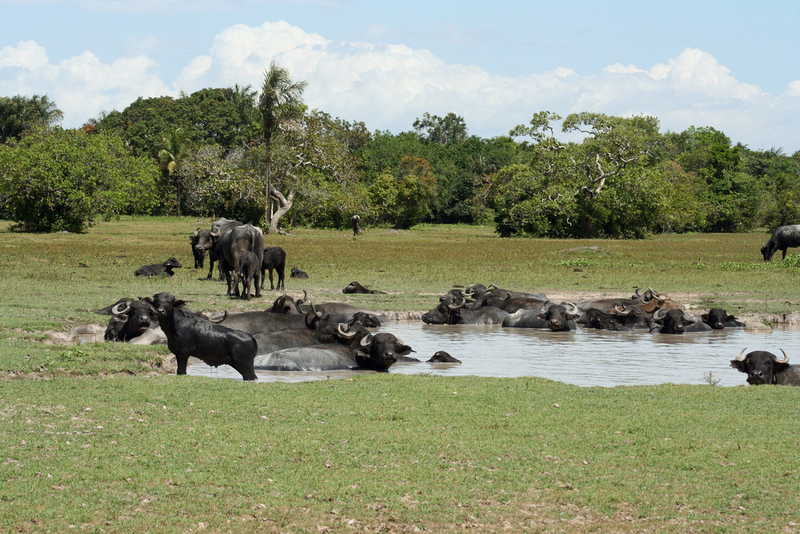 Time there will be spent searching for wildlife (the island is home to thousands of domesticated water buffalo — a true rarity) and meeting the islanders. 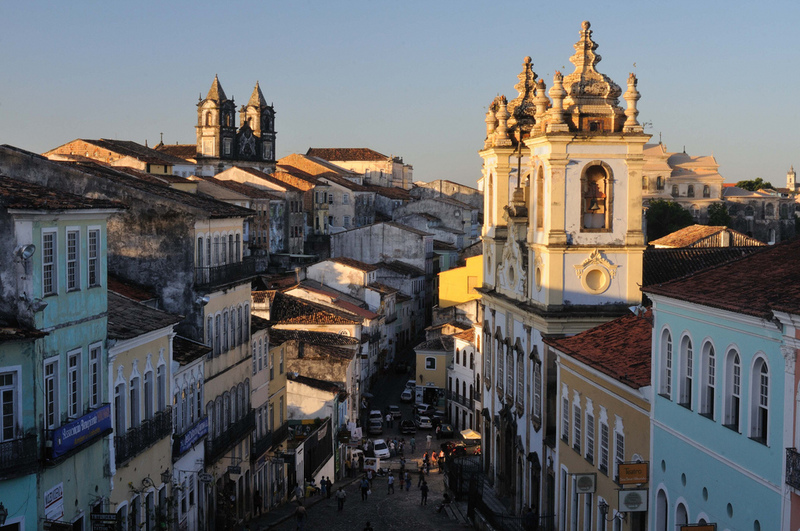 Back on the mainland we will continue on to the UNESCO World Heritage city of São Luís, which has a stunning city center from the late 17th century. Next we will journey to one of South America’s best kept secrets: Lençóis National Park. It is a 155 thousand hectares dune desert, which extends itself from the continent towards the sea, but with a great difference — the deserts at Lençóis receives rain over 300 times more, which forms hundreds of emerald-green lagoons in the middle of the dunes, providing one of the most visually spectacular sights in the world. 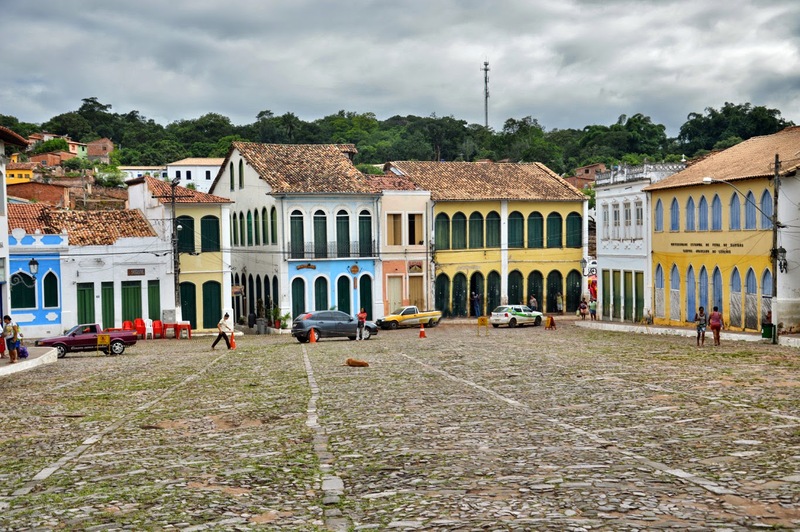 Later we will head to arguably the most charismatic and interesting city in Brazil: Salvador, where we will have plenty of time to soak in its atmosphere among the colonial buildings and plazas. 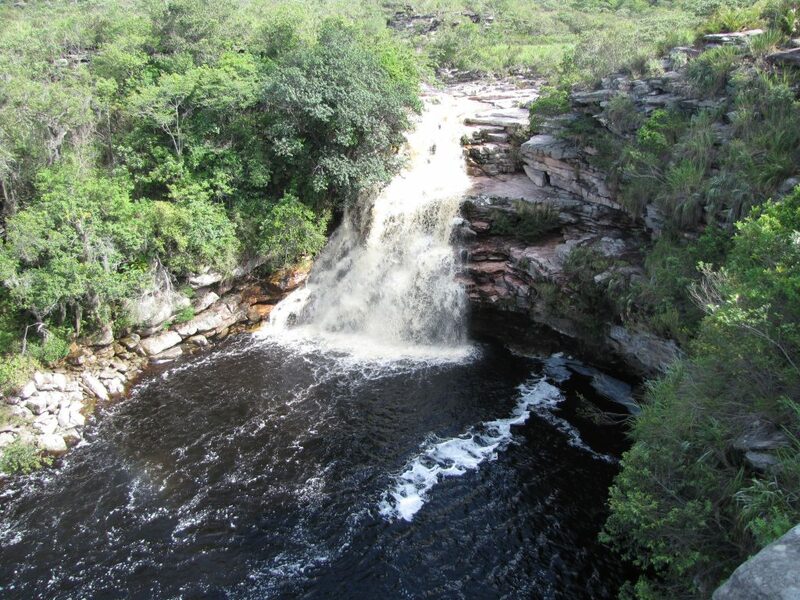 Next we will head to the city of Lençóis, where, among other things, we will visit waterfalls, lakes, grottos, and Chapada Diamantina, which is characterized by its phenomenal natural beauty with table-top mountains and a true oasis in the wilderness. 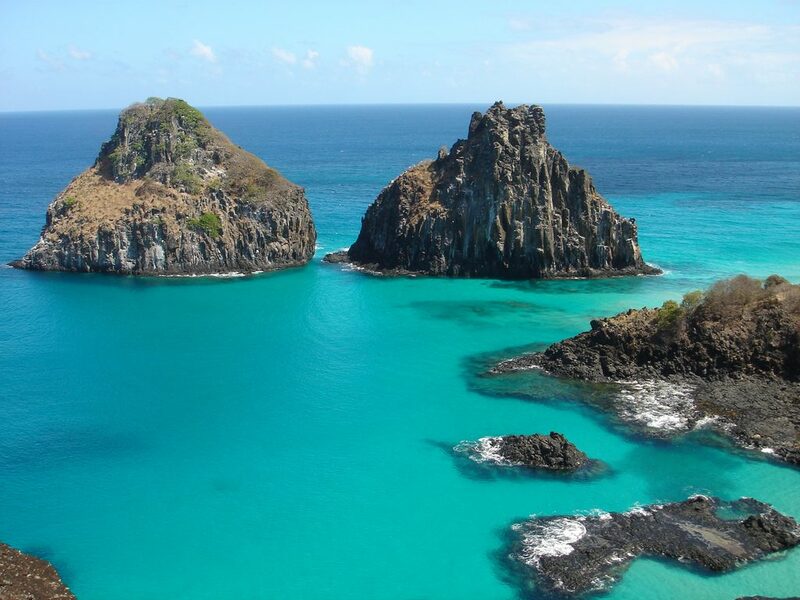 Then we will fly to Fernando de Noronha, an archipelago of 21 islands and islets in the Atlantic Ocean, 354 km offshore from the Brazilian coast. We will spend our time at this gorgeous island snorkeling, hiking and enjoying the ambiance and hospitality of its friendly locals. 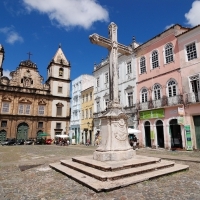 Finally, we will fly back to the mainland city of Recife for a comprehensive city tour and a day trip to the colonial masterpiece city of Olinda before finally ending our tour. 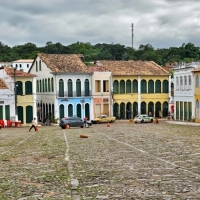 Absorb the fascinating city of Belém and explore the exotic Ver-o-peso market, the largest in South America and rated one of the 10 best street markets in the world. Spend three days exploring the seldom-visited, remote and wildlife-rich island of Marajó, the largest freshwater island in the world. 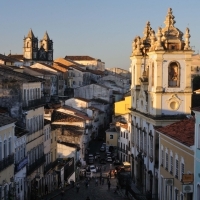 Be captivated by the colonial wonders of São Luís, Salvador, Recife and Olinda. Behold one of the most beautiful and untouched sites in Latin America, Lençóis National Park, with its stunning and sublime sand dunes filled with sparkling lagoons as far as the eye can see. 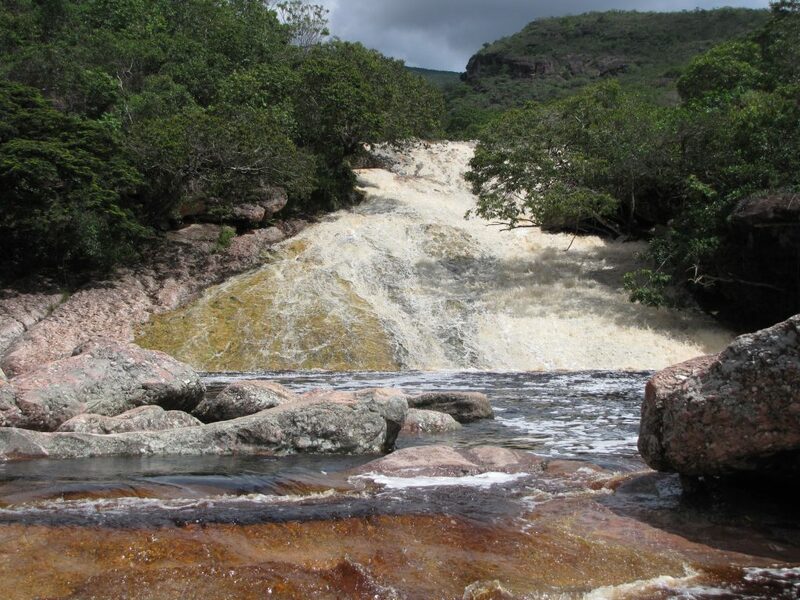 Trek around the Chapada Diamantina area with its table-top mountains, canyons, valleys, caves and trails. End our journey with a few days in Fernando de Noronha, a tropical wonderland known to be one of the most gorgeous places on the planet. 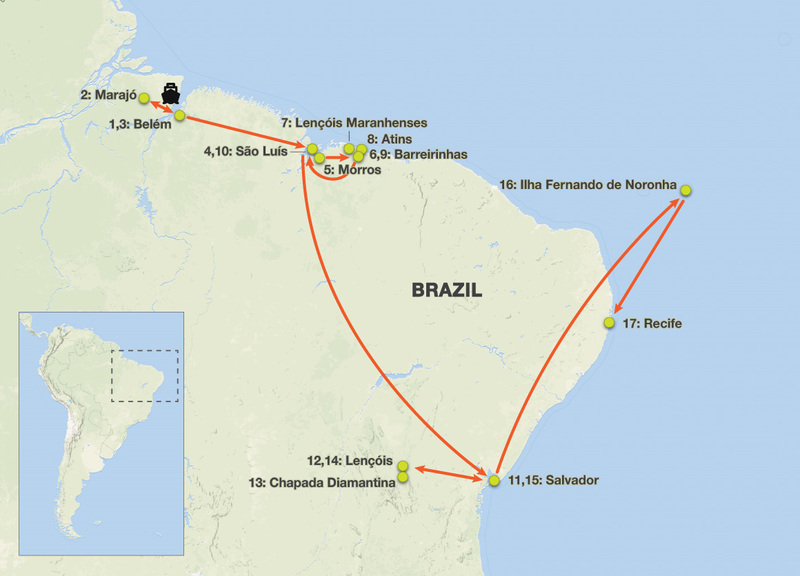 We begin our Brazil tour on arrival in Belem and be transferred to our hotel. Depending on your arrival time, this evening we can watch the sunset in the Bay of Guajará, and then head to “Estação das Docas” for a tasting of craft beers (optional), followed by dinner at the local restaurant “Lá em Casa”, famous for the organization of the Food Festival “Ver-o-Peso’s da Cozinha Paraense”, where one such popular meal is the “Corridinho de Peixe”, a tasting of several Amazonian fish and dessert with cupuaçu ice cream. Overnight in Belem. 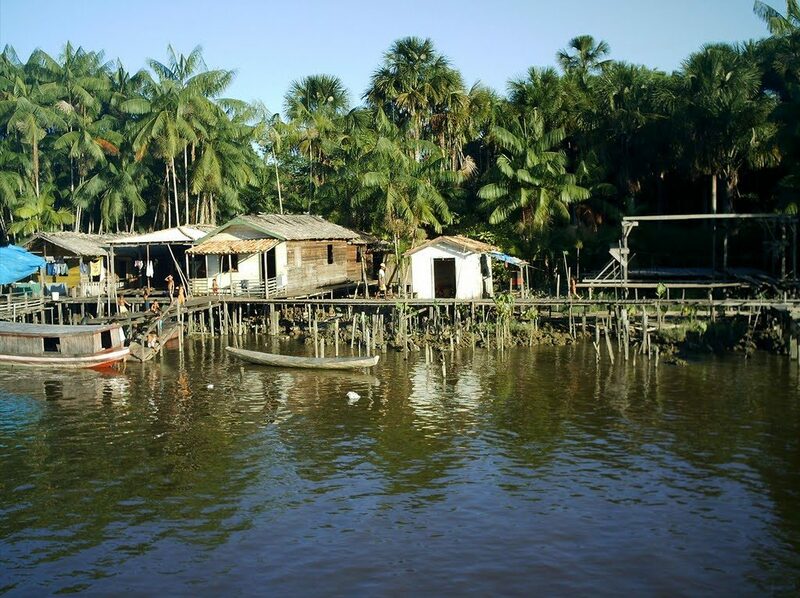 This morning of our Brazil tour at 8am, we will sail two hours across the river to reach the world’s largest freshwater island at the mouth of the Amazon, Marajó Island. On arrival, after checking into our accommodations, we will visit Fazenda Bom Jesus (ranch), one of the best spots for bird watching in the grasslands of Marajó. We will experience the rich ecology of Marajó as the sun slowly sets behind the horizon and enjoy the sunset with sparkling wine and Marajó buffalo cheese. This evening we will attend a performance of carimbó dance, of indigenous origin, influenced by African and Portuguese, with drums, flutes and strings. Overnight in Marajó. We begin our Brazil tour today with a boat ride through the mangrove channels of Furo do Miguelón en route to Sanjo Fazenda (Sanjo ranch). Horses and riders meet our boat and those who wish may ride by horseback to the ranch. After a short nature walk, we will enjoy a country-style BBQ with two island specialties: Buffalo steaks and Marajó buffalo cheese, both produced in-house. 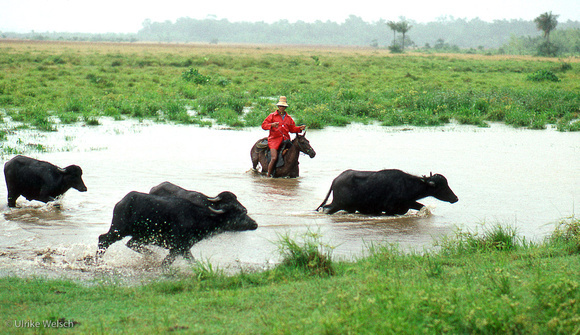 This afternoon, we join Sanjo’s gauchos on horseback to bring the grazing water buffalo back through flooded fields to the ranch — a fantastic sight to see. Overnight in Marajó. After breakfast, we will explore by foot around Pesqueiro village for turu, a thin tubular relative of the oyster that grows in fallen wood of the mangrove ecosystems, found exclusively in Marajó Island. Afterwards, join a life-long resident of Marajó Island for a cooking workshop in her open-air kitchen using foods foraged and sourced from around the ranch. In the afternoon we will visit a renowned pottery craftsman, who makes pottery parts based around the Aruan culture, which is the last indigenous ethnic group inhabiting Marajó. Later, we will do a ceramics workshop with a craftsman and plastic artist who makes pottery ceramic parts based around the various indigenous ethnic groups that inhabited Marajo, and with pieces of wood collected on the beaches and mangroves. Overnight in Marajó. 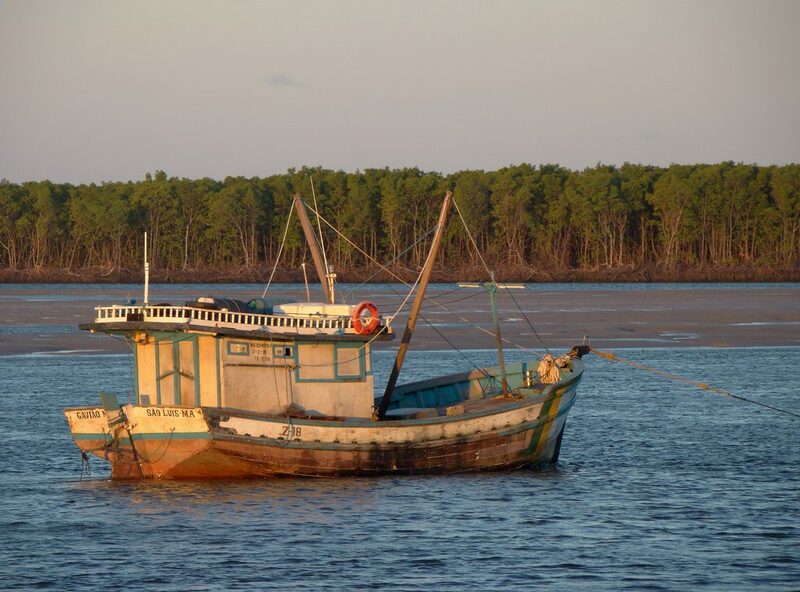 We will have a relaxed final morning on Marajó for some final strolling around the island and beach until we catch our afternoon boat back to Belém, arriving around 4:30pm. This evening we will enjoy a dinner in Thiago Castanho restaurant (optional). Thiago is at the forefront of this city’s gastronomic renaissance and a restaurant the New York Times calls a “laboratory of Amazonian culinary revelations”. There we can experience the regions surprising and delightful textures, aromas and flavors. 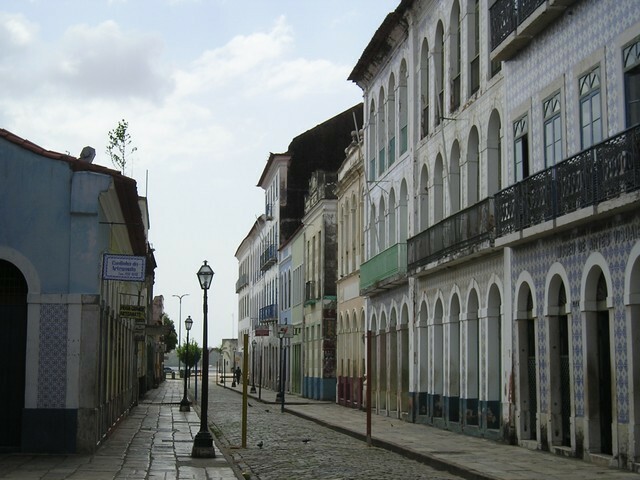 Overnight in Belém. After breakfast, we will head out on a guided walking tour of the Ver-o-peso market located at Guajará Bay riverside, and the largest in South America. Here, Brazil’s mega-diversity is vibrantly on display, with acres of stalls dedicated to fish from the Amazon and fruits found deep in the forests, many not seen anywhere else in the world. This is a place where the true wealth and diversity of this largely unexplored region of the world are on display. 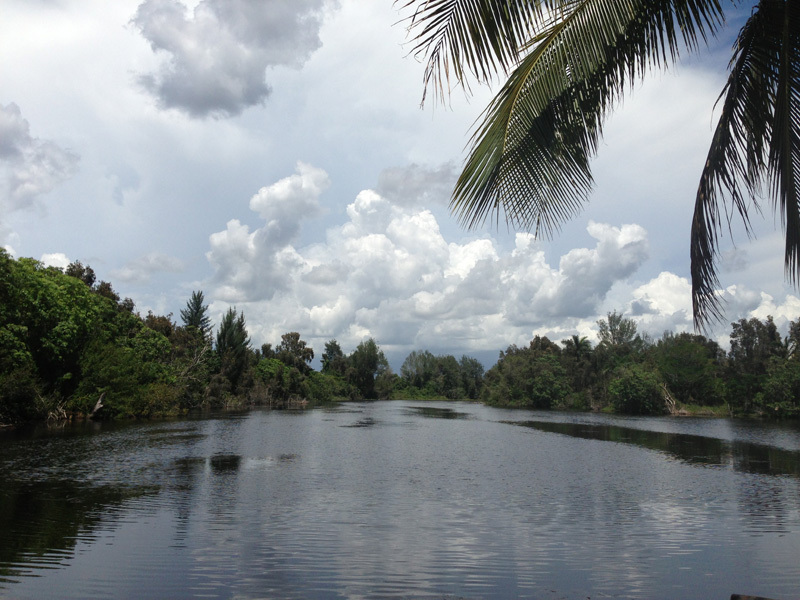 We will then take a boat ride along the Guamá River to collect organic cacao with an artisan producer and then head to her rustic home/ranch to make cacao bars during a home-hosted workshop. Her cacao is considered one of the best in Brazil and in high demand among several of the country’s top chefs. Later we will return to hotel and transfer to airport and fly to São Luis, where we will arrive in the early evening and overnight. We venture out this morning of our Brazil tour to explore the historical core of São Luis, a UNESCO World Heritage Site. 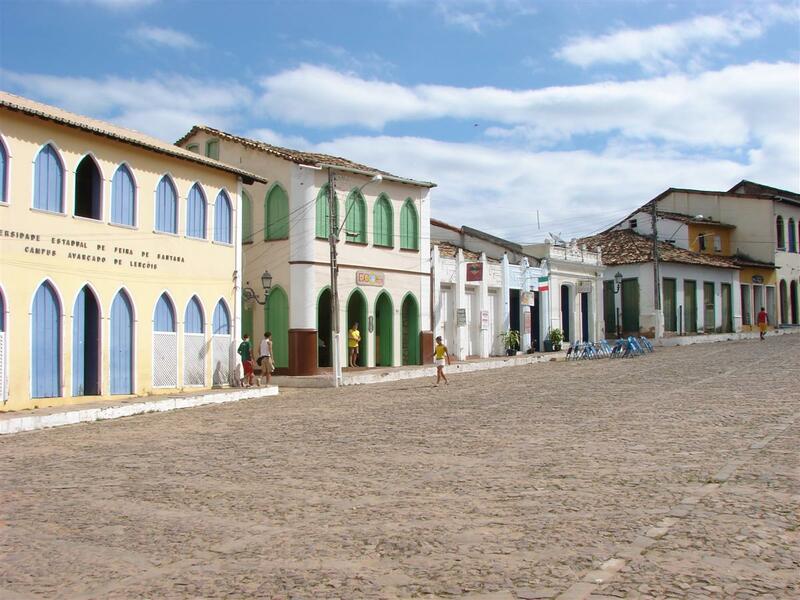 We will start our visit by foot in old town where we will visit, among other places, Dom Pedro II place, pass by the Lyon’s palace (Palácio dos Leões), the prison, the “Sé” Church, the Benedito Leite place, the House of Maranhão, the João do Vale theater, and the fascinating Casa das Tulhas” market. Afterwards we will drive around the modern areas of city and visit the Jansen Lagoon and Coastal Avenue. Overnight in São Luis. After breakfast, we will drive to Barreirinhas, which is a roughly 4-hour drive on paved roads. En route we will stop in Morros to have a lunch. On arrive in Barreirinhas, we will head out for a cultural tour, where we will visit the “Flour House”, to see the whole preparation process of cassava flour. After that, reach Marcelino village to see the “buriti” handicrafts. Overnight in Barreirinhas. This morning on our Brazil tour, we will depart in 4WD vehicles to the incomparably beautiful, Lençóis Maranhenses National Park. One of the most scenically-beautiful national parks in South America, Lençóis Maranhenses is stunning oasis set among sweeping sand dunes filled with crystal clear lagoons of sparkling water. 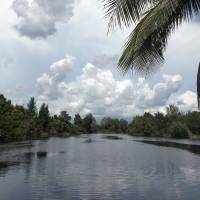 We will spend a full day enjoying relaxing hikes and swims around this truly gorgeous area few westerners visit. In the late afternoon we will return to Barreirinhas and overnight. An adventurous day is ahead this morning as we drive first to Vassouras, located at the APA (Área de Proteção Ambiental – Environment Protection Area), where we will have an opportunity to visit the mangroves, dunes and monkeys for a couple hours. 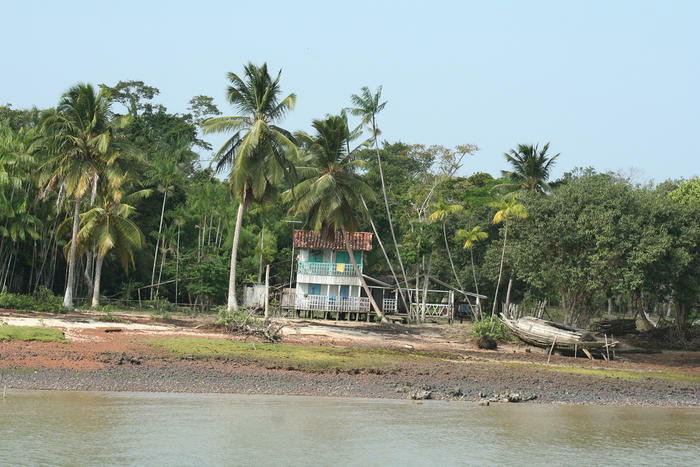 Later, we will continue ahead to Mandacaru, a fishing village on the banks of the Preguiças River with a still-inhabited lighthouse built in the 40s. We will then continue on to Atins in 4×4 to Canto do Atins. 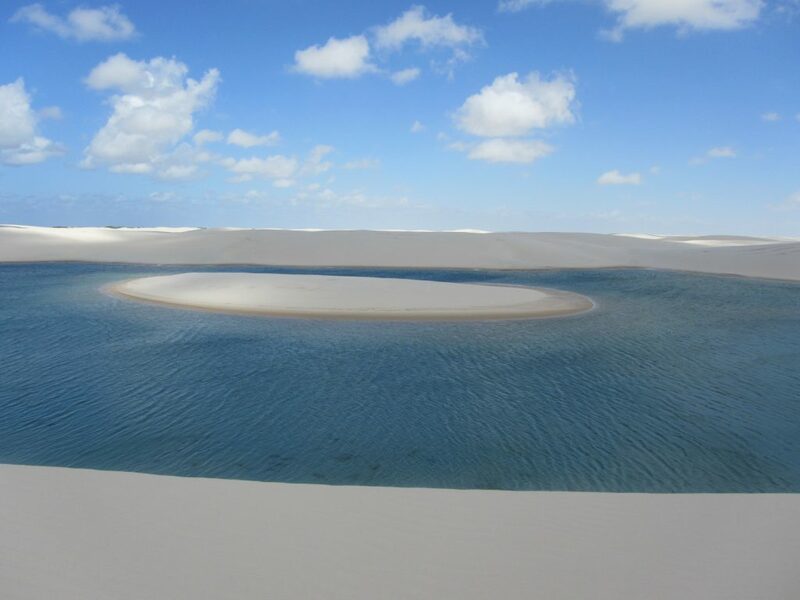 We will explore the dunes and take a walk (duration 30 minutes there/back) to the Lagoa Tropical for swimming and then return to the vehicle and transfer to Canto de Atins. After lunch of delicious prawns (optional), we will return to Barreirinhas with a stop at Caburé and the beautiful beach area to enjoy a relaxing end to a fulfilling day. Overnight Barreirinhas. After breakfast, we will start our long travel day with a 4-hour drive from Barreirinhas to São Luis Airport. 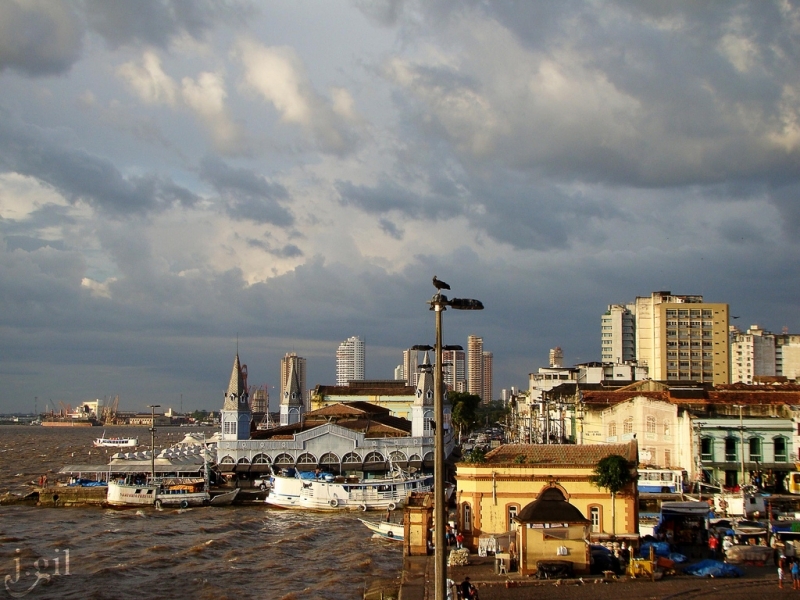 Later we will fly to the beautiful colonial city of Salvador, where we will be met and transferred to our hotel. Dinner and then evening at leisure. Overnight Salvador. 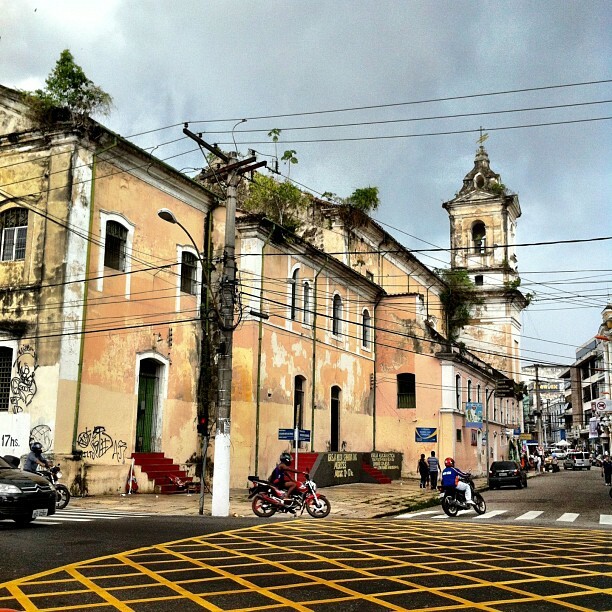 Today on our Brazil tour, we will venture around the beautiful, crumbling old city of Salvador. Our first stop will be the São Joaquim Fair, the city’s largest market, where we can find various vegetables, fruits, fish, meat, herbs and much more. We will be accompanied by our experienced cook and we will help him choose, bargain and buy all the necessary ingredients for an authentic Moqueca meal. Next, we will head to a kitchen and cook, where we will discover the magics of the Bahian cuisine, before having lunch. 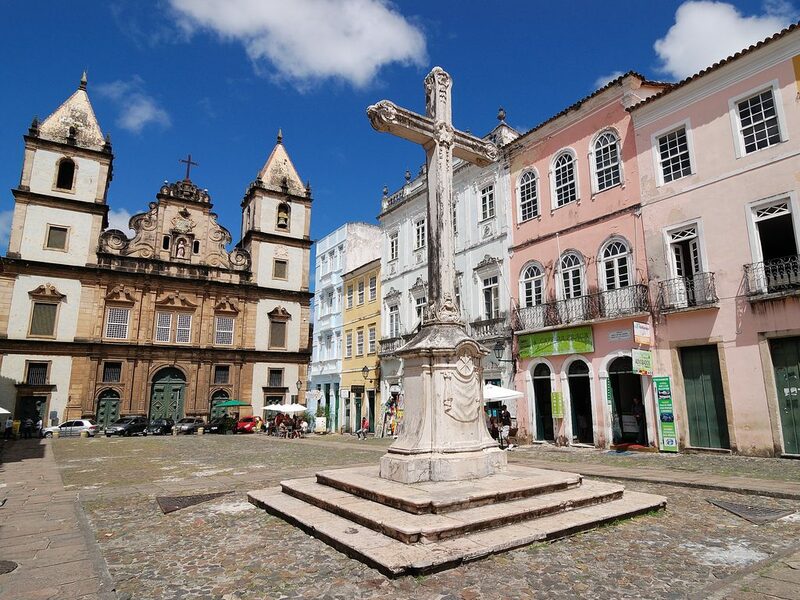 After lunch, we will visit the main sights of Salvador and its historical center, which is listed as a UNESCO World Cultural Heritage Site for its colonial architecture and symbol of the black movement in Bahia. 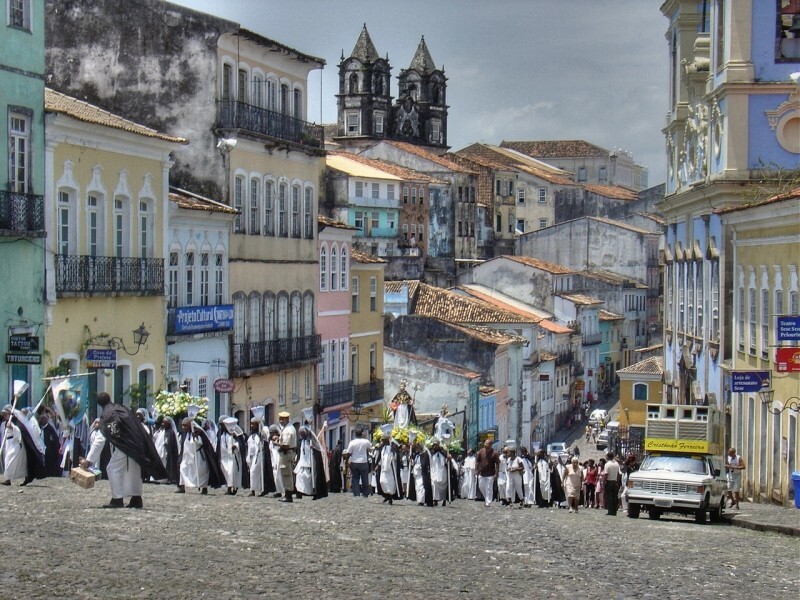 The Pelourinho area is home to important churches, museums, Brazilian artists’ studios, galleries, shops and restaurants. 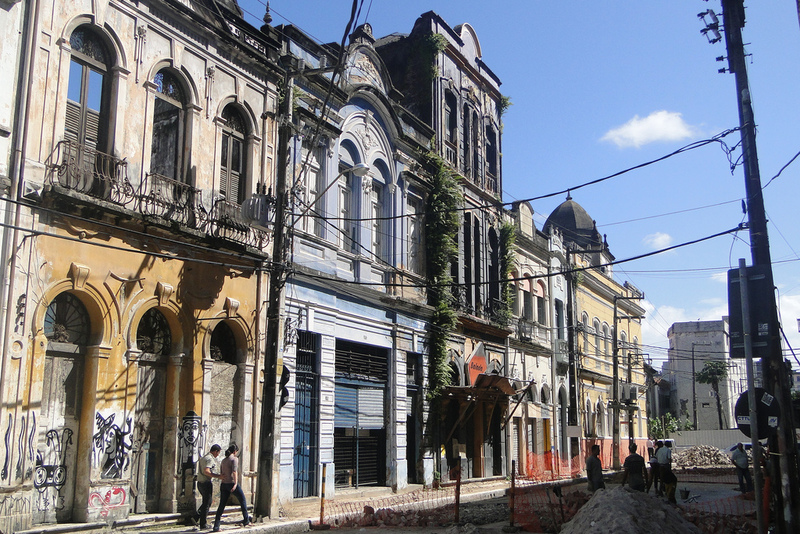 The focus is particularly on the Largo do Pelourinho, Santo Antonio Além do Carmo, Elevador Lacerda and Mercado Modelo. We will visit all of Pelourinho’s main tourist places: Jorge Amado’s House, Olodum’s House, São Francisco and Cathedral Church, Cravinho Bar. 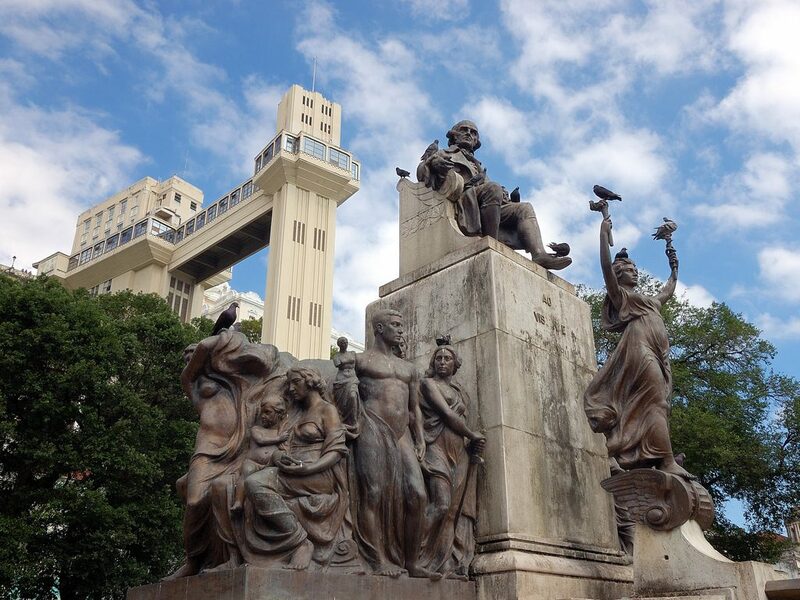 Our next stop is Elevador Lacerda, which was built in 1873 and connects the “two cities” of Salvador: the upper town to downtown and is an important way of transportation for tourists and residents. Getting to this point, we can observe a panoramic view of the All Saints Bay and Mercado Modelo, the most important Regional Market. Overnight in Salvador. After breakfast, we will transfer to the airport in Salvador and board our short flight to the city of Lençois. On arrival in Lençóis we will transfer to our hotel. We will have the remained of this afternoon and evening at leisure before a very long and interesting day in the morning. Overnight in Lençóis. This morning on our Brazil tour, we have a full day to explore the area around Lençois on foot. This area is truly one of the most beautiful and rugged in South America and is chalk-full of natural wonders, waterfalls, trails and peaceful surroundings, and where we will take walks in various areas. Serrano (1.5km): Part of Lençóis River, the water diverts the mountain and flows over a large rock, with numerous potholes forming natural pools (photo above). 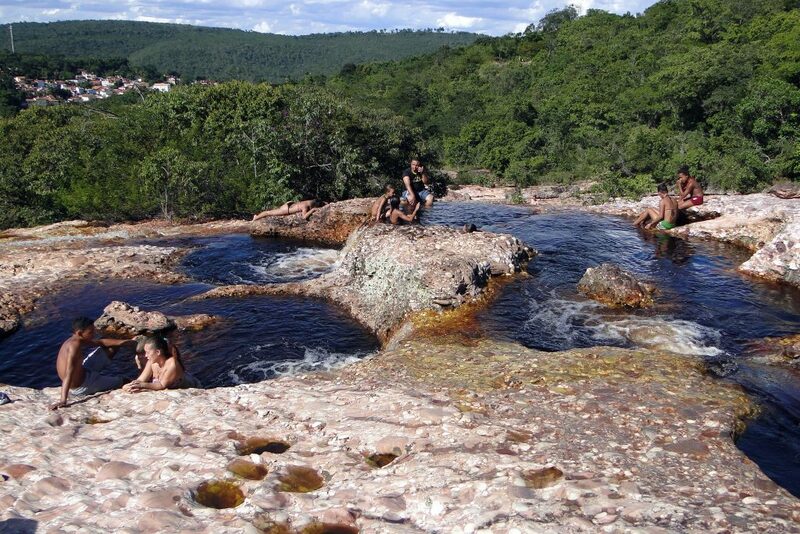 Ribeirão do Meio (50 minutes walk each way): 3.5 km from the city of Lençóis, we can enjoy a natural slide and swimming (photo above). After this very full day walking a variety of trails, we will return to Lençois for rest, dinner and overnight. 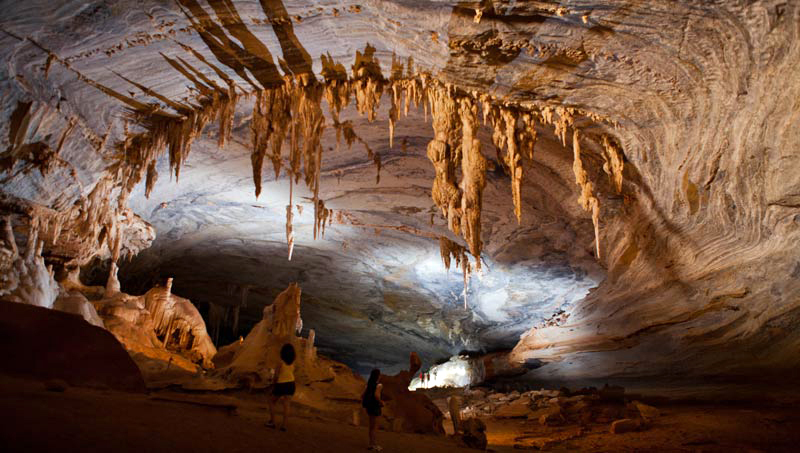 After breakfast, we will drive roughly 1 hour to Gruta da Torrinha (70km), which is the most beautiful grotto at Chapada Diamantina, full of stalactites, stalagmites and other speleothems. We will explore the area for a couple hours before heading to Pratinha for lunch and then exploring its spa that is a real oasis in such arid area. The bottom of the lake has countless micro-conchs, showing that there was a sea in this region in the past. 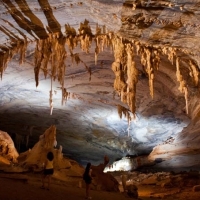 Pratinha’s river has formed many grottos in the limestone. 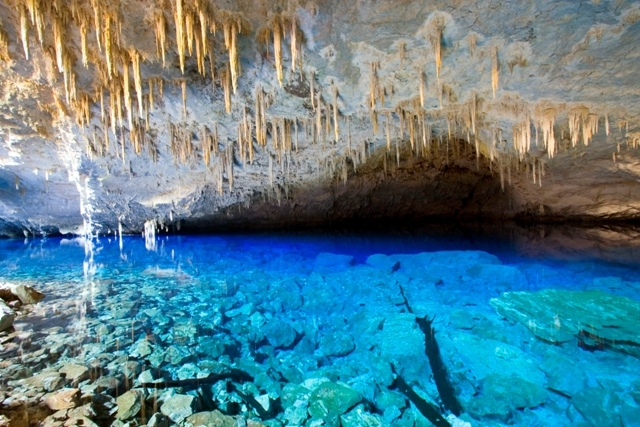 Continuing to Gruta Azul, a short distance from Pratinha, a gorgeous grotto with sparkling, crystal-clear waters. Later we will depart towards Rio Mucugezinho (30km), where we will take a short and easy hike up to Poço do Diabo waterfall, where we can enjoy a relaxing swim in the waters, which are completely dark and lack visibility of any depth, but are very cooling. Finally, we will head to Morro do Pai Inácio to enjoy the sunset over this stunning area. 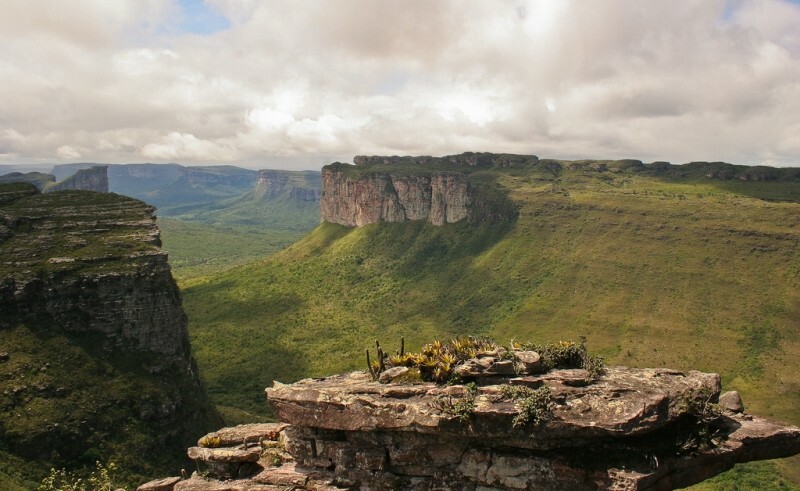 Morro do Pai Inácio (Father Ignacio’s Hill) is certainly one of the highlights at Chapada Diamantina and where it is possible to have some of the most spectacular views of the region with a series of flat-topped mountains that are so characteristic for this landscape. Return to Lençóis (28km) and overnight. This morning on our Brazil tour, we will fly back to Salvador where we will be transferred to our hotel and have the remainder of the day at leisure. Many activities can be arranged around the city, and we also have the optional of doing some last minute exploring around this beautiful city solo or together as a group. Or you will have the option of just relaxing after a very busy last two weeks of travel. Overnight in Salvador. After breakfast, we will head to the Salvador airport and leave the mainland of Brazil and fly via Recife to the gorgeous, UNESCO-listed islands of Fernando de Noronha, located in the Atlantic and renowned for its untouched beaches, stunning beauty, trails, and world-class snorkeling and diving. We will arrive in the early afternoon and have various options available to us ranging from guided walks, renting buggies (golf carts) to explore on our own, snorkeling, and exploring the various beaches. Overnight in Fernando de Noronha. Today we will set off to take an all encompassing, 10-hour, English-speaking tour to really give us a feel for this beautiful and exotic island. 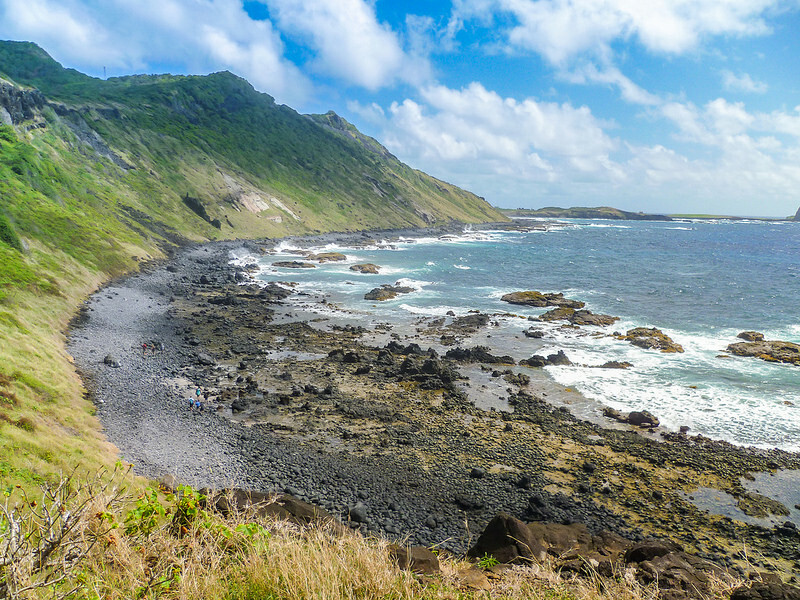 Among the wide variety of things we will see and do today, we will visit nearly all of the main beaches, the rugged interior, and stop to admire various sweeping viewpoints throughout the main island. Other activities include light hikes and swimming. 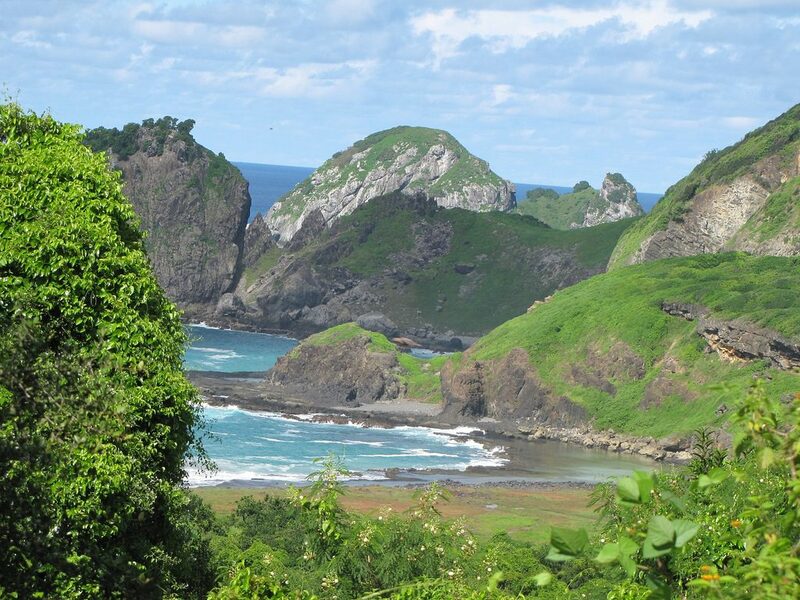 Overnight in Fernando de Noronha. Our last day in the islands will be reserved for us to explore on our own and revisit some areas you would like to see more of from the previous days, or we can organize a variety of excursions including boat trips, snorkeling with the sea turtles and shipwrecks, beautiful walking trails, scuba diving (or lessons), and time exploring the island by your own buggy. Overnight in Fernando de Noronha. After a relaxing morning, and after lunch, we will bid farewell to beautiful Fernando de Noronha in the early afternoon and board our flight direct to Recife. On arrival we will transfer to our hotel and take a short stroll around the city center, have dinner and overnight. 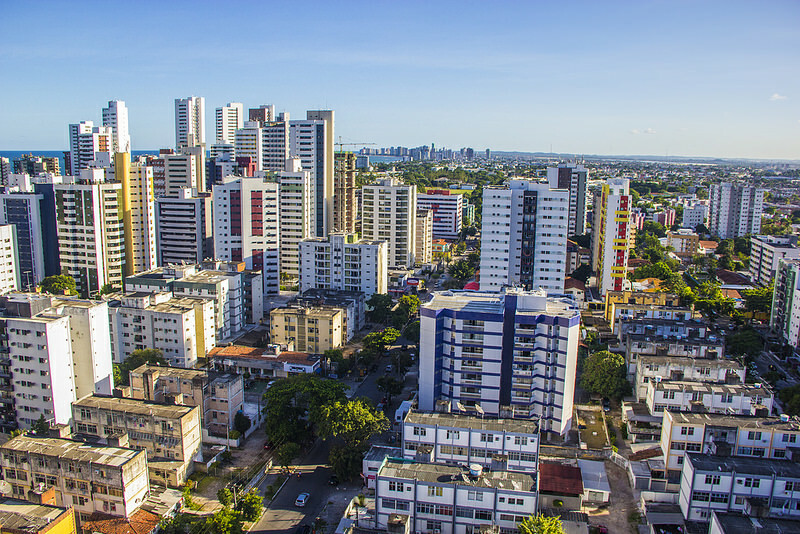 We will spend our last day of our Brazil tour touring the beautiful sister cities of Recife and nearby Olinda, which has its historical center listed as a UNESCO World Heritage Site. 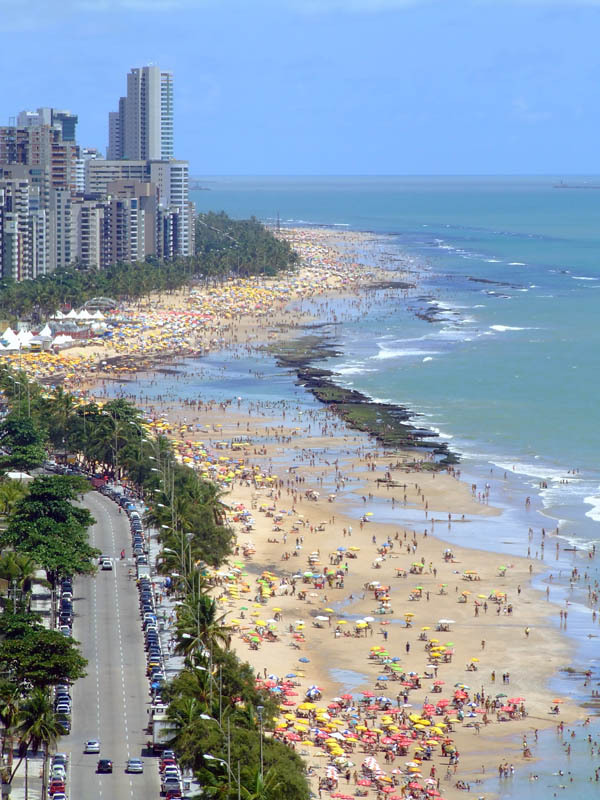 We will start with time at Boa Viagem beach in Recife, which features offshore reefs and gives the city its name. “Recife” means “reef” in Portuguese. Then we will continue downtown where, among other places, we will visit the Casa da Cultura, formerly the city jail and today a handcrafts market. 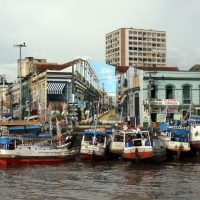 Later we will continue to Olinda, the artistic and bohemian counterpart to Recife’s high rises and business culture. 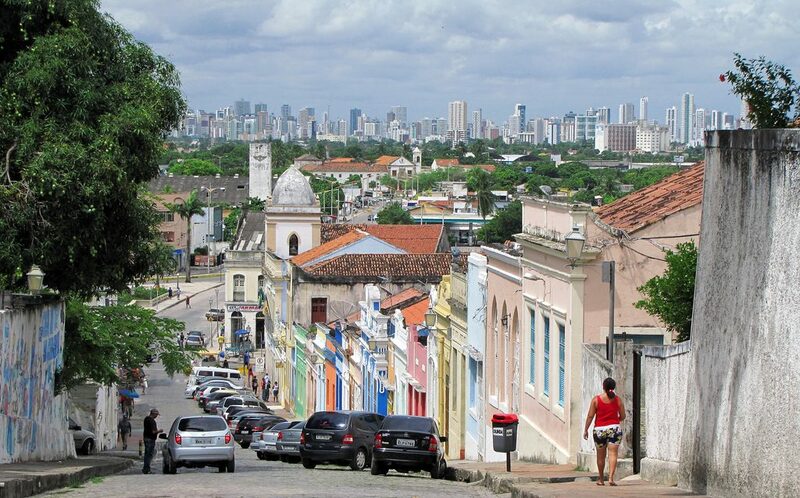 Olinda is built up on a series of hills and the cobblestone streets lead up to a main plaza with beautiful views of the ocean and Recife in the distance. Finally, after our farewell dinner, we will return to Recife and have our final evening at leisure where we can go out for a couple drinks (optional) or relax at our hotel. Overnight in Recife. After breakfast on our last morning of our Brazil tour, we will have a free morning to relax, head to the beach, and enjoy Recife before our checkout and transfer to the airport for our onward destinations.